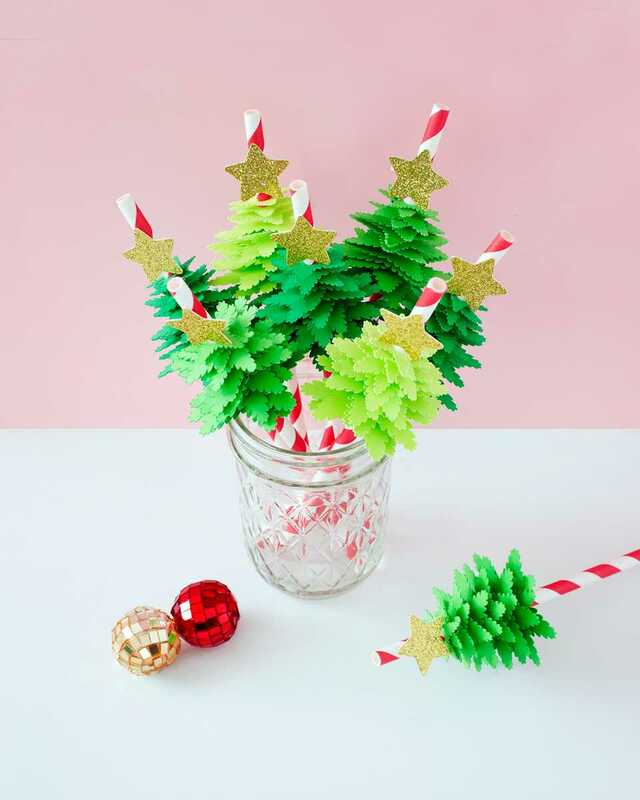 Christmas is right around the corner, and if you’re thinking about throwing a Christmas party, these little Christmas tree straw toppers will put your party over the…TOP! See what I did there? Calling these Christmas tree drink stirrers works as well. But whatever you want to call them or use them for, these are simple to make and so, so cute. They just add the pizzazz your Christmas cups need. 1. 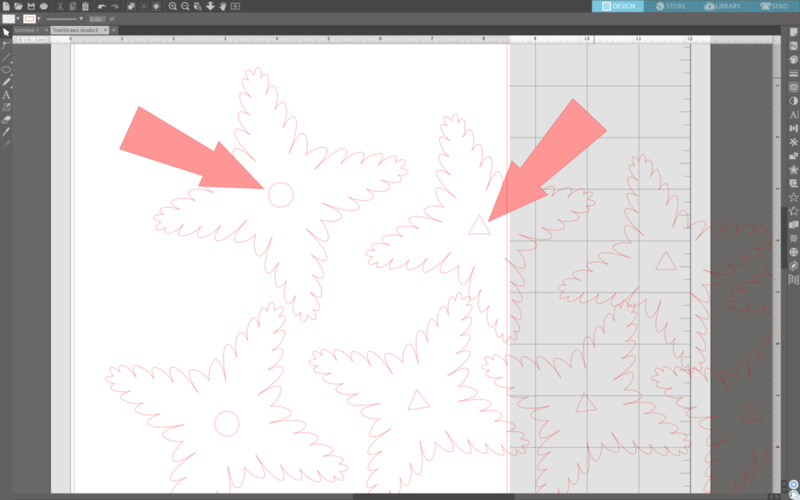 Start by opening up the Christmas Tree design (Design ID #226317) and sizing the design down until the largest of the tree’s branches is about an inch and a half. Ungroup the design. 2. Now create a circle that is just bigger than the width of the straw. I made my circles .25 inches around, which I think is the standard size of a paper straw. 3. Next, trade all the triangles in the center of the branches, from biggest to smallest, per paper straw. Then arrange all of the pieces so that they all fit on your piece of cardstock. 4. 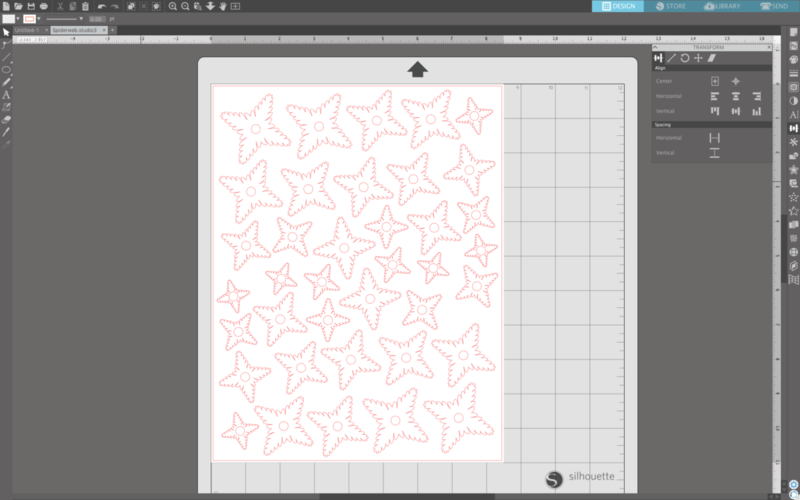 For the star on top, all you need to do is make copies of the singular star shape and delete the other pieces (the star outline, the circle, and the tree middle) as they are unnecessary. 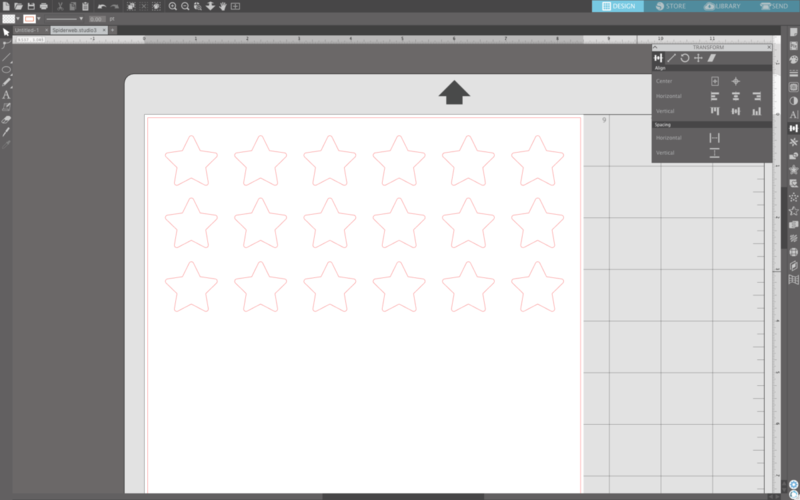 You can use the Transform panel to align the stars into rows. 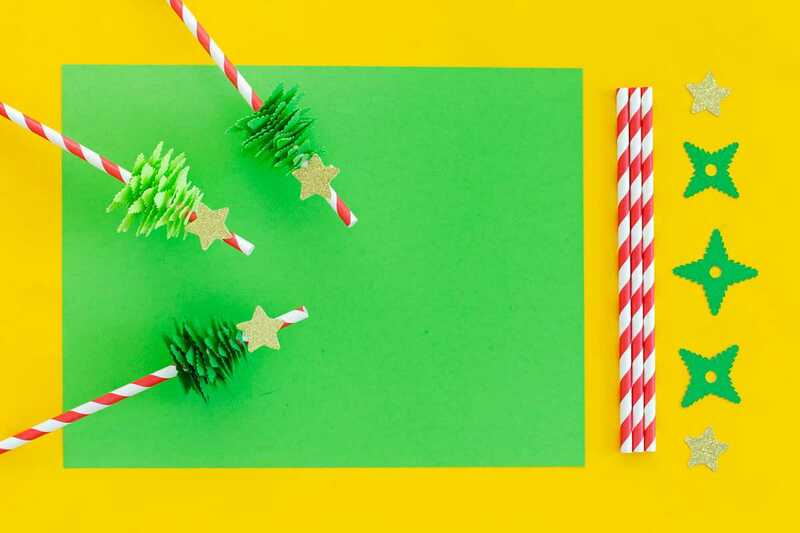 Cut the branches out of green cardstock, and begin sliding them around the paper straw. I stacked about 15 branches, from biggest to smallest, per paper straw. Cut the starts out of glitter paper. Attach the stars to the tops of the trees with a dab of hot glue. 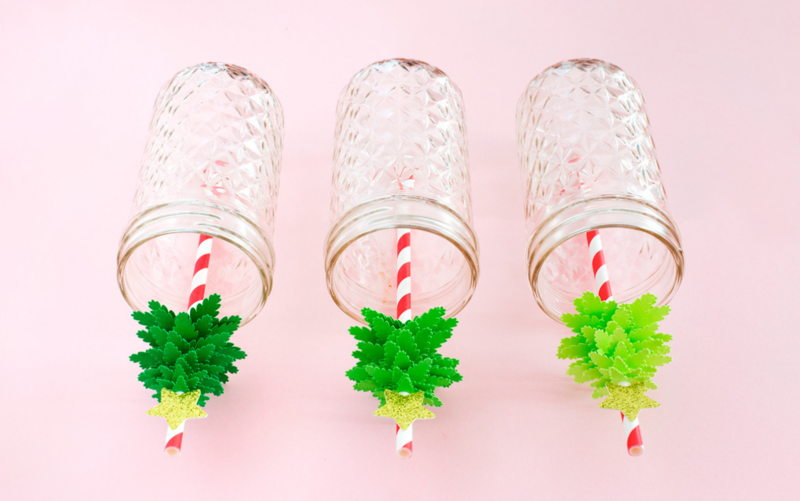 These are the perfect accessory for a yummy and festive drink. 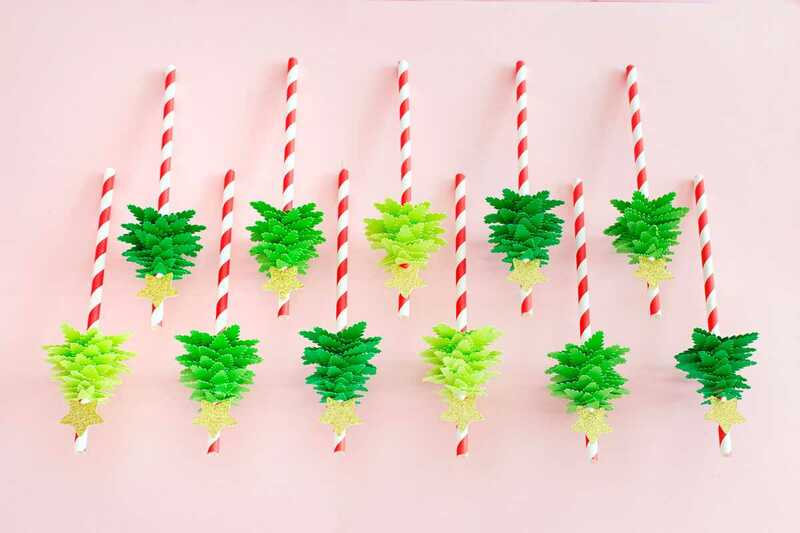 A whole army of cute straws can be made in no time flat, and I think even stringing them together into a matching banner would be super cute! So cute, Brie! I love them!